Welcome to Credence K9 Training & Behaviour Centre! 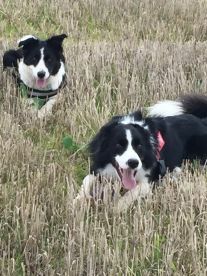 I have 20 years experience in rectifying and training reactive dogs. Owners are under the guidance of a trainer whom has also owned reactive dogs. They will have a trainer who is knowledgeable of the behaviour and how to rectify it, but is also understanding from a personal perspective. At Credence, I work on educating the owner and I work to provide them with the techniques to handle their dog correctly. I also work on educating the public on how to conduct themselves safely around reactive dogs. 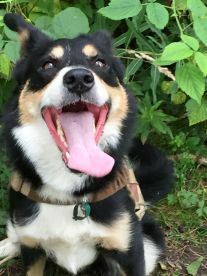 Finally, I work with other behavioural issues such as reconditioning the dog to exhibit a desired behaviour through force-free reinforcement techniques. As a competitive obedience teacher, and for those seeking to become involved in competitions, I have a great deal of experience with competition dogs. Additionally, in the past I have helped those struggling to train their potential gun dogs in certain tasks such as scent work, so the dog can sniff out and retrieve the birds. A lot of my focus goes towards trying to make a safe place for both dogs and humans by providing individuals with knowledge on how to conduct themselves correctly and how not to put dogs in a position in which they exhibit undesirable behaviour. Your dog is a vital member of your family - so why not bring them to a family-run business? 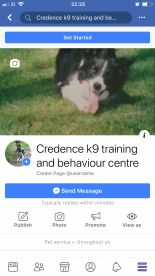 Here at Credence K9 Training & Behaviour Centre, I have been taking care of dogs across the UK for many years, and understand the importance of giving them love, care and attention whilst you’re working. Dogs are trained at credence using force-free methods and positive reinforcement techniques. Give me a call today to discuss your dog care needs. Please note that Credence K9 Training & Behaviour Centre may not be able to honour booking requests made.